This is my first Mojo Monday challenge submission. 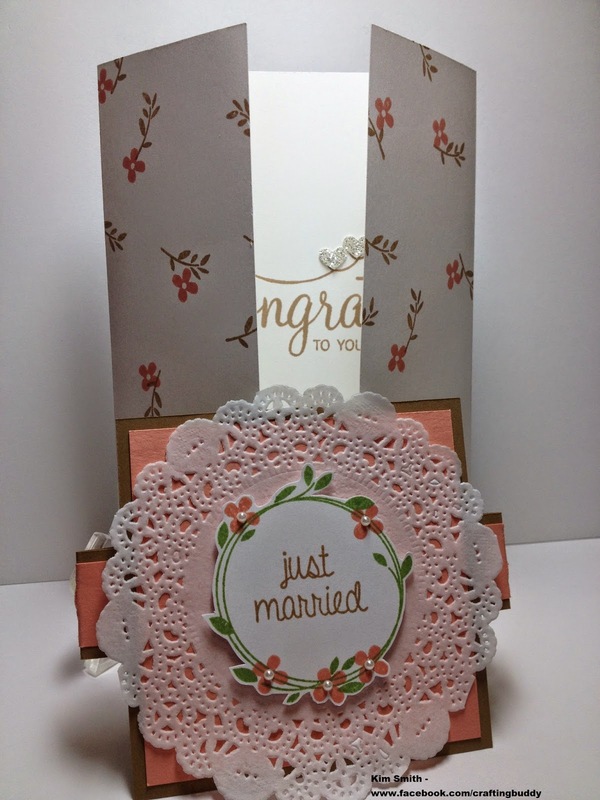 This image is from one of the new Stampin' Up photopolymer stamps - Your Perfect Day. 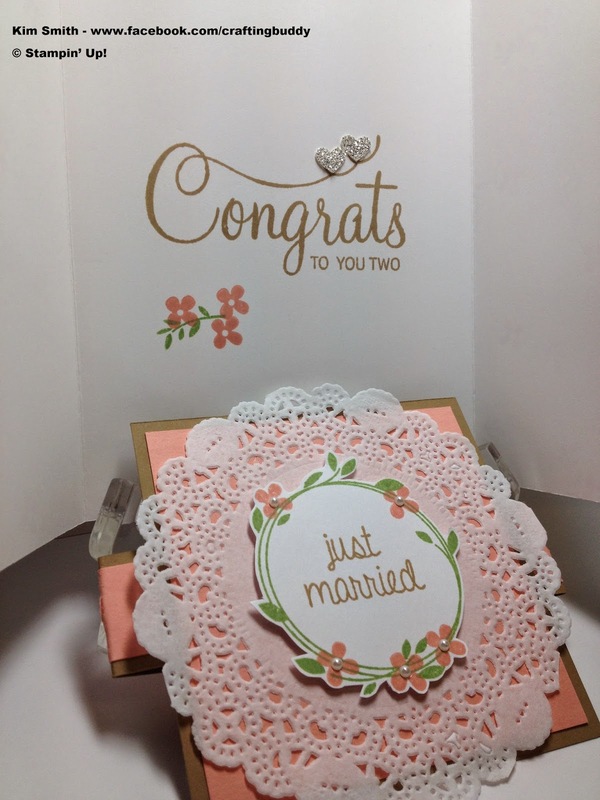 I used the Crisp Cantaloupe, Baked Brown Sugar card stock and inks along Whisper White cardstock and Wild Wasabi ink. 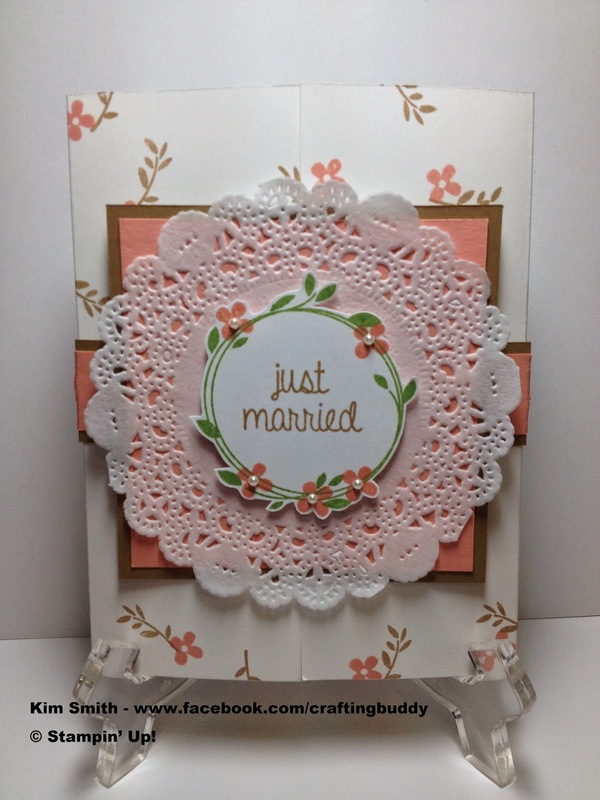 I added one of the Stampin' Up Tea Lace paper doilies and pearls for accent.